I'm a little late for a St. Paddy's day bread, but I do have to say this one is worth the wait. 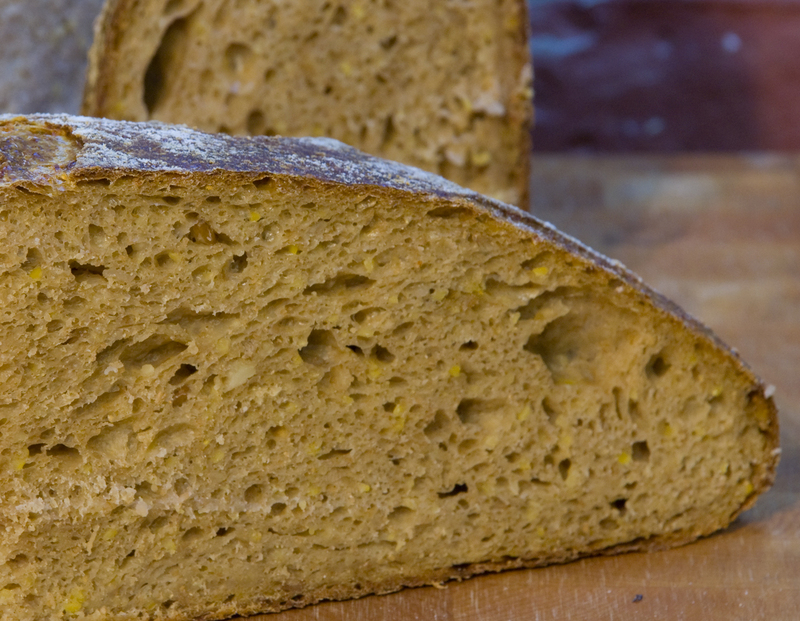 The combination of Guinness, polenta with mixed whole grain flakes as a porridge and potatoes created a wonderfully moist and flavorful loaf. I threw in some freshly sprouted and ground whole wheat flour just for good measure. If you have not tried a porridge bread yet, than all I can say is you don't know what you are missing! If you are worried that the Guinness will overpower the bread, don't worry your little heads off :). The beer really only adds a subtle undertone flavor and if you didn't know it was in the dough you would have a hard time guessing it was present. really came through. Sprouted flour with a polenta porridge is pretty wild and a bit Lucy like if you ask me - She see's your 7 apprentices at work in this recipe. Some fancy do slashing really brought out the beauty of the crust and that crumb is spot on. Still, the taste has to be the best part of this bread. Lucy has 1 left over Guinness from St Paddy's and I got her a box of pre-made polenta from the close out basket at Sprouts. 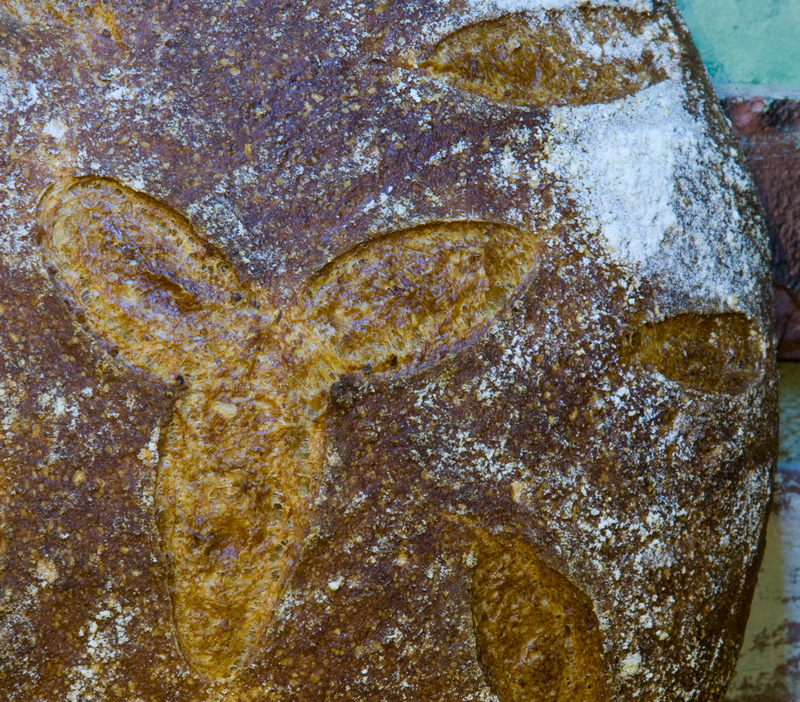 Now she has everything for her version of this bread but it probably won't be as pretty as this one. Thanks DA. Glad you and Lucy like it and I look forward to seeing her rendition of it soon. Send some of that warm weather our way....it's around 32 degrees with a high of 40 if we are lucky today. Happy Baking to you and Lucy as well. p.s. I am just not a beer drinker, but I did have Guinness in a pub in Ireland on a Sunday in Dublin more than 30 years ago. The bartender said that the pub was closing, but he brought my husband (to be at the time) and me cheese sandwiches and Guinness, as we were starving. It was really fun! Thanks Phyllis. I'm not a big beer drinker either but once in a while it's nice to have one in the summer after a long hot day. My wife actually had bought a 6 pack of Guinness for her corned beef she made last week so I figured I might as well try to use another can :). You can substitute rolled oats for the mixed flakes with out a problem. Just leave the potatoes out if you don't want to add them and maybe up the water a bit to make up for the lack of water content in the water. Let me know if you give this one a try and if you have any other questions. 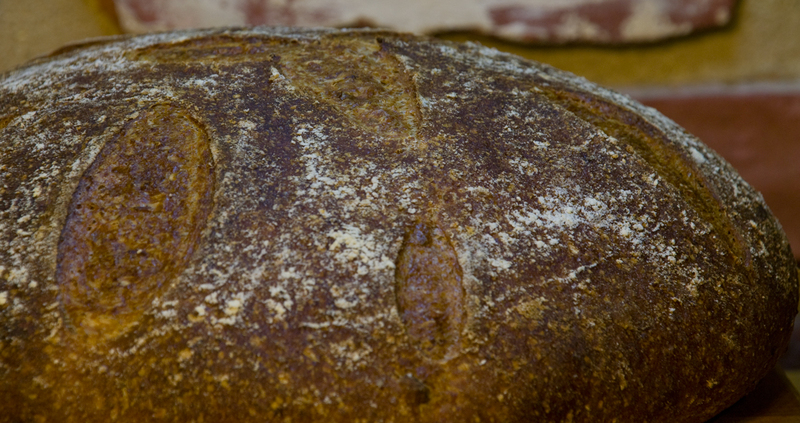 Love the color and the crust - check out those happy polenta bits peeking out. Love corn in bread! No doubt, this one tastes great with the combination of grains, and soft for sandwiches with the porridge and potato. Did you use milk or water to make the porridge? As for the snow - you may need to chase it away. Crank up the grill and cook up some pizza - that oughta do it! Best to you and your crew! sorry about the confusion. It was water in this case. Cooked some steaks on the grill. 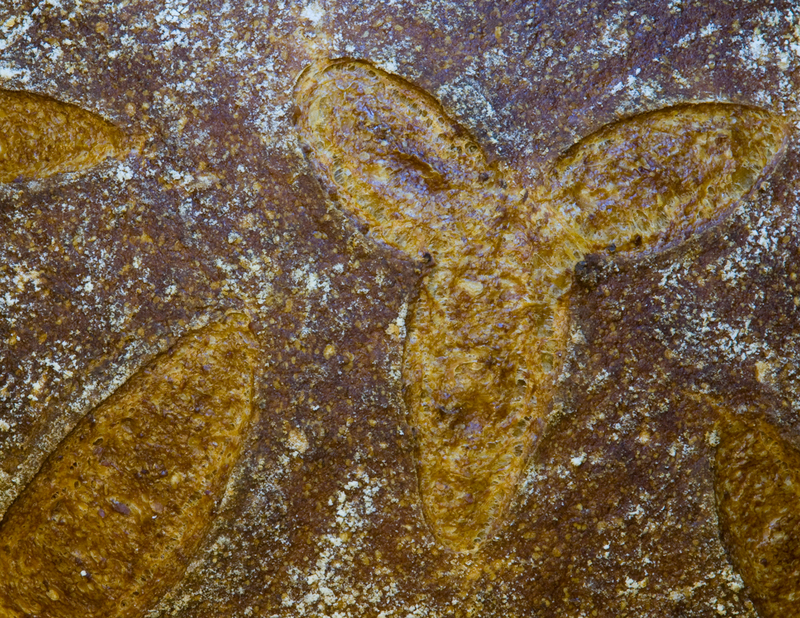 That bread is a beauty! However, in reading through things I'm a bit confused. The description talks about adding milk for the porridge, but the ingredient list shows water. And I would assume the polenta is cooked along with the 6 grain flakes and water (milk? ), but the directions mention adding "levain, cooled porridge, polenta and salt", suggesting that the polenta was not part of the porridge. If you could clarify things, I'd greatly appreciate it! Thanks. Sorry about the confusion. I used a previous post to create this one. It should be water and not milk. Also the polenta was cooked as part of the porridge. 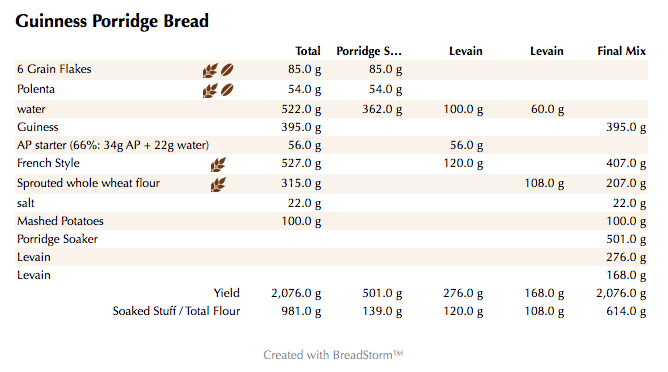 Post is updated to reflect water in porridge and not milk as well as correct directions for building 2 stage levain and adding potatoes to main dough. Again, sorry about the mistakes. Everything that's in there is good for you! 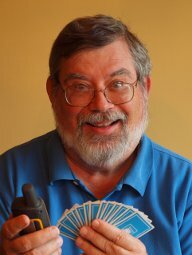 Did you use Guinness Stout or Draft? 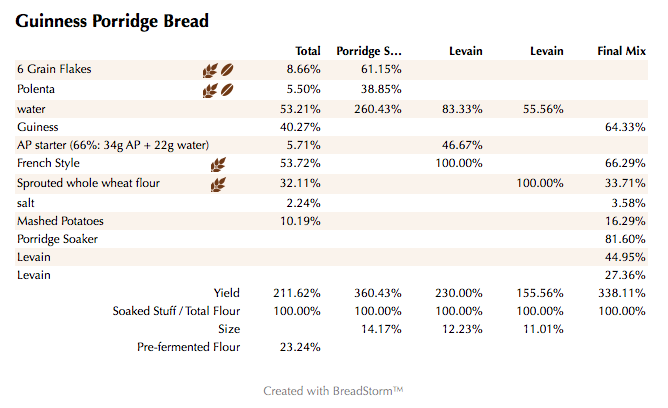 According to Cook's Illustrated Draft holds up better in longer cooking/baking procedures. Thanks Karin. I think I used draft. Will have to double check. Glad you like the bread. Now that is an awesome loaf. I have a back-log of your formulas that have inspired me, but your use of polenta/grits is particularly intriguing. Super work, as always! Thanks. Appreciate your kind words and hope you get to try this one.